Metro: Last Light is a fresh and well written first person shooter that explores new territory, even though it might not be the most technically polished game out there. 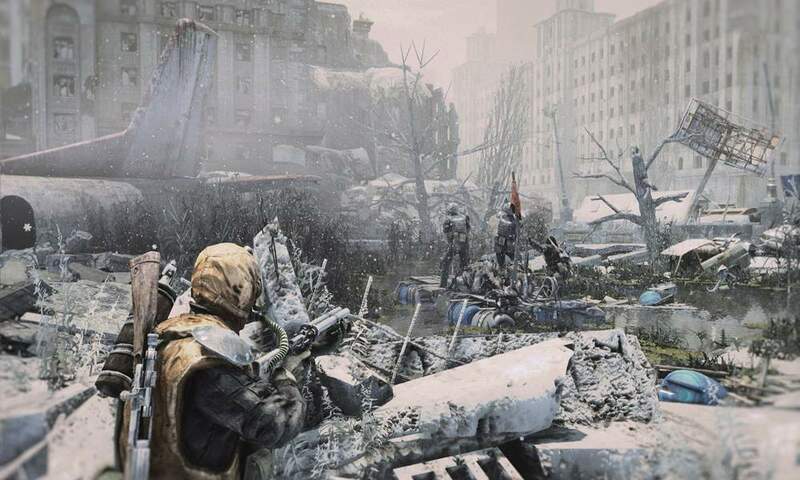 Metro: Last Light is set after a nuclear war and alien invasion have caused the population of Moscow to take refuge in the subway system. Our hero, Artyom, was a child when the war took place and has grown to manhood in darkness and danger of the Metro. Over the 10 hours of the main story, the player will have to fight internal politics, battle fascists, escape from communists and even deal with the contaminated surface and the psychic aliens themselves. Along the way he will find out the deep, dark secret that haunt his world. The story is well written, with many twists and turns. It is thankfully free of the tired cliches of most First person shooters, probably because the game was developed in Russia and Ukraine from a work of Russian fiction, and as such has a different and rich story tradition to draw from. The design in Metro: Last Light, even though it’s clearly didn’t have the budget of so called AAA first person shooters, is thorough and incredibly detailed. The textures and lighting in particular are excellent and polished, creating almost painfully beautiful scenes among the ruins of civilization. The designers have built a believable world needs a post-apocalyptic Russia and the player feels as though they are in a real environment. It would be easy to think that a Game centred on an almost endless maze of tunnels would feature the same environment repeated again and again. The designers of Metro: Last Light have really excelled by creating a world that feels real and a subway system that feels as though it once served a real world function. The metro is then endlessly interesting place to explore, even if you wouldn’t want to get lost in it. The design is powered by a rich interaction of the man-made and biological. Everywhere you look, plants are growing through the cracks in cement and slowly taking back the world from humans. It’s a powerful effect and a metaphor for the world hanging by its fingertips. The Metro Last Light Xbox One gaming platform is a little clunky when it comes to firing your weapon at enemies and engaging others in combat. This isn’t necessarily a weakness but it does take some getting used to. The game also had several performance issues, even on very fast machines, and took quite a few patches to bring up to speed. Aiming and movement are good without being great and the enemies AI is at the level that seems typical for a previous generation of games. Somehow though, this doesn’t detract from the overall experience of playing Metro: Last Light. It just seems to enhance the retro, post apocalyptic feel. The game is fairly straightforward and the player shouldn’t expect to spend hours exploring the passages or taking on side missions. Even the surface, which is fairly open, can’t be explored without gas masks cartridges that are constantly in short supply. The game has the familiar offering of handguns, shotguns and assault rifles without being too crazy or experimental. 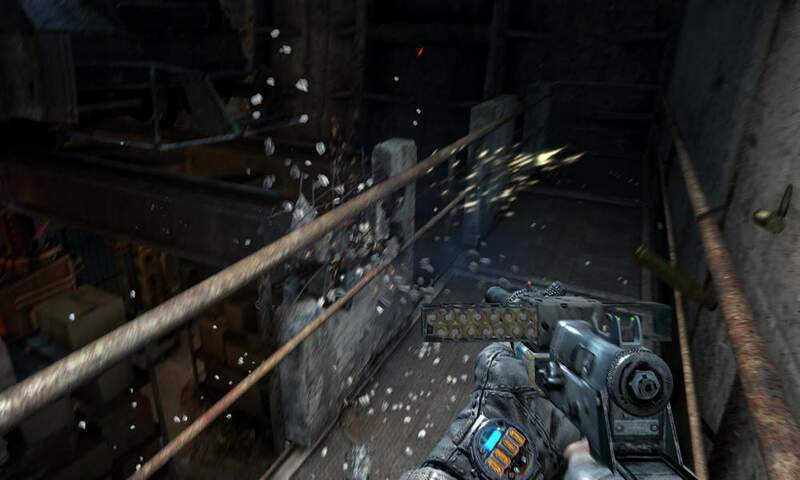 These can be modified at certain locations to shoot or do more damage but the player will have no problems completing the main mission with the standard issue. The guns feel traditional and without too much fanfare – very Russian. As with many other elements of the game, developers have worked out how to play to their limitations and get the most out of there relatively simple designs. 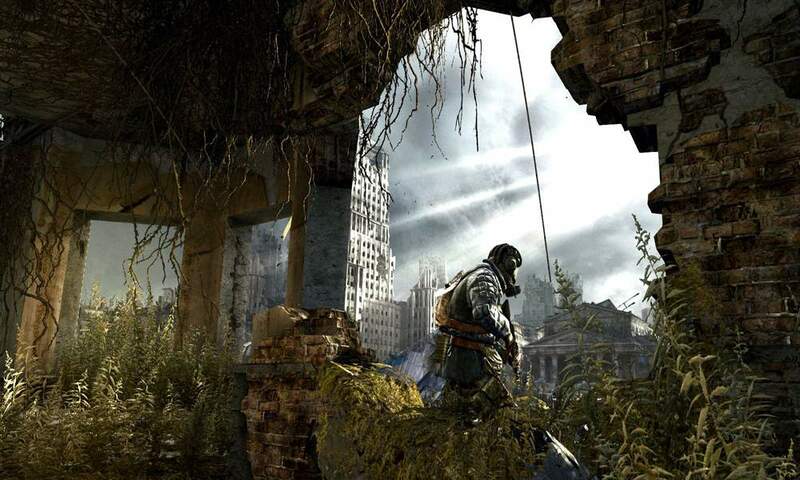 Possibly because it is based on an award-winning work of Russian literature, Metro: Last Light feels oddly different and doesn’t fall into the tribes and clichés of most video games. The people we meet, even with the westernized voice performances, feel somehow real. We believe their problems and want to help. Likewise the villains, be they fascist or alien, are thoroughly terrifying and the Nazi prison in particular is utterly bone chilling. All of these things are welcome to see a video game that tries to take chances in its theme, its story, and its resolution. Metro: Last Light is well-written and well performed by voice cost. If there’s one missing element, it’s the fact that the main character never speaks, so we never develop an attachment to the person where inhabiting. But this is a small issue in a world that so rich and inhabited by the kinds of characters we haven’t seen before. Metro last light is a gem: a truly different first person shooter with some horror elements and social commentary that doesn’t fall flat. While it may not be slick or polished, it contains something very few games include these days – heart.